The snow picks out detail and shape, makes the stones look different. The fallen stone on the right in this next picture must have popped right out of the ground when it fell, because you can see the carved point of the anchoring lower part. 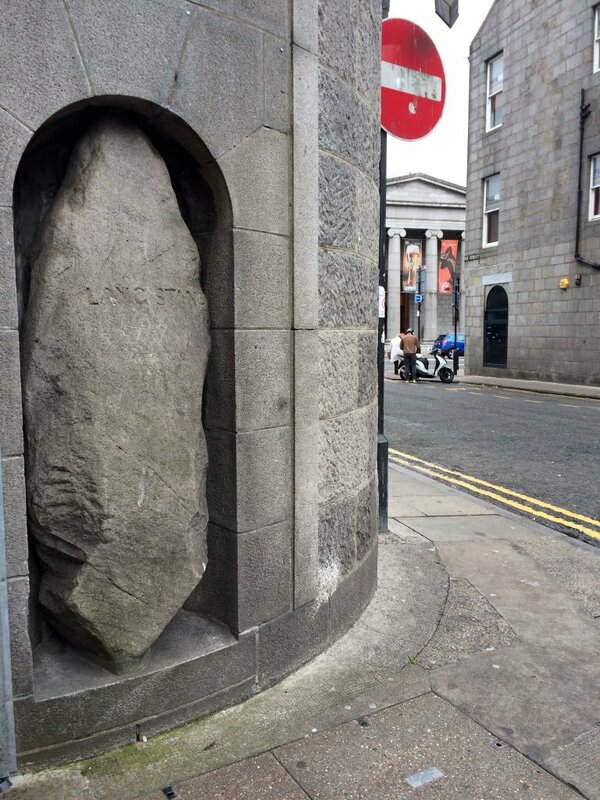 This pointy feature can also be seen on the Lang Stane, hidden away just off Union Street in Aberdeen, leading to the theory that it was once part of a stone circle too. But back to the sun and snow at Aikey, and the smiling recumbent. If you have any else you’d like to see in the mailing list, do let me know that too! Let’s finish up by staring through the stones, to the world beyond. This entry was posted in green places, life, writing and tagged history, Scotland, stone circle, stones, writers. Bookmark the permalink. It is such a beautiful place. I love your photos and follow you on Twitter. I’ll probably not be able to visit Scotland again, so whatever you post or tweet is wonderful. Brings back so many memories. Serene…..and magical! Its exquisite to be exploring another part of the world thru someone else’s eyes….a new perspective(? ), same(? ), tehre’s(?) or mine(?) – I wonder!! Whatever, its awesome! What a stunning place. My latest blog post is about buzkashi so my head and heart have been in Afghanistan – your post brought me straight back to Scotland. Your pic of the Lang Stane evokes dim memories of my Aberdeen childhood. We built our own mythologies around it. I don’t remember Aikey Brae in particular, but any megalith in that part of the world had my mum dragging me to it. These stones do inspire storytelling! I will probably never travel to Scotland. Your posts allow me to vicariously experience its beauty. Thank you. If photos can be called poetical, these Aikey impressions are pure poetry! Thank you Ailish. Aikey is famous in folk song and legend. A fair used to be held there in olden days as a “feeing market” where farm labourers could sign up with a farmer for seasonal work. They were the guys who created the “bothy ballads”, so called because these journeymen slept in the bothy and entertained themselves in the evening by singing there. What a pleasure starting my day with your post – thank you! The images are all intriguing, but I especially like your smiling stone. A long smile would be my response, too, if I could just lie down after centuries of being upright. I liked the smiling stone as well. beautiful pictures! I would love to visit Scotland someday. I can’t imagine how beautiful it was to watch the eclipse in that circle. How many others before did the same? Awesome. Lovely pictures of a lovely site. I fell in love long ago with the Standing Stones of Stenness on the Orkney’s, one of my favourite spots in Scotland. This said, thanking for joining my blog subscribers. Occasionally I will talk of Scotland there, it has not only inspired composers, but also myself. I would really like to visit Stenness one day. In the 90s, when I was a poor, but resourceful student, I walked up there from the youth hostel in Stromness with all my photo gear. Locals thought I was mad, but I got a few nice sunset pictures! Lovely post and photos, Ailish. Thank you. Love the ‘smiling recumbent.’ Your post had me wondering what the faeries do when it snows. Supposedly they live in or under stone circles. Totally gorgeous pictures! I’m planning a visit to Scotland soon, but sadly don’t think we’ll get that far north. I still can’t wait to show my kids lots of stone circles and castles and other magical things. We’re travelling elsewhere now but Scotland is definitely in our future plans. Thanks for your stunning photos and writing: feel a little homesick for a gorgeous place that was never home! Oh, thank you Ailish. It is a magical land. Inspirational in many ways. This site looks magical–especially the smiling stone. What a magical place! Interesting about the carved bottoms, didn’t know they did that when raising stones. Thank you for reading my post and I’m so glad it led me to yours. Who built those circles–or do we not know that? The most widely circulated theory is that they were built by early farmers and settlers to the area. They’re at least 4000 years old. We welcome visitors over at A Bit About Britain – http://www.bitaboutbritain.com – best regards, Mike. Your site looks an amazing resource, Mike! Thanks for sharing it. I love your photographs which make me homesick as I am Scottish born. My blog Lost in the Past https://somerville66.blogspot.com/ is about history, nostalgia and travel. Sorry for making you homesick Liz 🙁 I love your blog and have tweeted the post on Shandon Hydro, a place I’d never heard of before. My birthplace and where my mother’s family farm was. The building is possibly near the original site of the stone. It’s a bit of a mystery! Beautiful pics of a magical place. 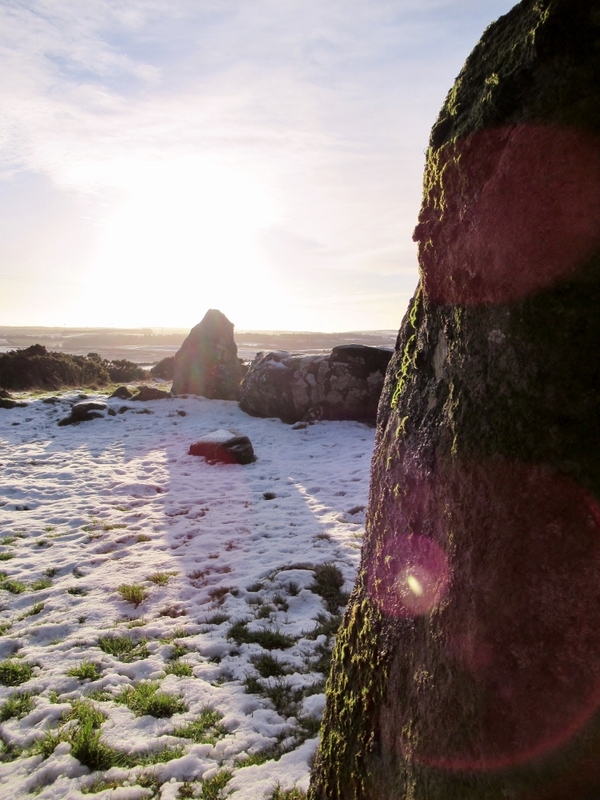 Aikey Brae was the first stone circle I had seen (in the 80s). I saw so many of them over the years of living in Aberdeenshire but my favorite was a single recumbent stone of pure white quartz in the field next to our cottage outside New Deer. I am fascinated by the Picts and their language. Great post! There was a white quartz stone circle near New Deer. Two stones are left, the rocking stones of Auchmallidie. Maybe yours was one of the others? Those are the stones – I thought it was a recumbent! We lived in a rented cottage in the field to the north, closer to New Deer. Everyone for miles around had white quartz stones in their gardens. I think the quartz was a glacial erratic? I believe there was a white quartz quarry there for a while. You have inspired me to start a blog series about living in the cottage. Thank you for sharing your site Felipe – your art is beautiful! Scotland has always been close my heart. Thank you for sharing these eonwonder pictures. And about stone circles. I’m so glad you enjoyed the post, Sue. Pictures like these spark so many story ideas for me. Maybe because of the feel, the weight, of history behind the stones. Thanks for sharing. The pictures were gorgeous! You did a great job capturing the beauty both visible and behind/in the stones. Sorry you were sad, Wenchy. 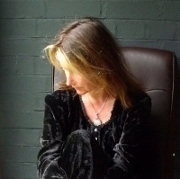 Thanks for taking time away from your writing and photography to visit my blog! You live in a beautiful place, and have a great talent for sharing it with those of us who aren’t lucky enough to live in Scotland. The tidbit about the stone in the Union Street is interesting. I wonder if it is really part of the stone circle. Maybe one that was near its current location. You do feel that there. Such a lovely place. My husband and I have been planning a Scotland trip and this has given me some inspiration on sites I wouldn’t have normally thought to see. Some of the best places are lesser known. I hope you have a great time! Beautiful photos. Thank you Ailish.